Rana Hira practices in the areas of corporate finance, capital markets, and fund formation and investment management. In addition, he has experience in derivatives transactions and related regulations. In his corporate finance practice, Rana has represented borrowers and lenders in a variety of transactions, including acquisition finance, asset-backed financing and venture capital financing. Rana's experience in capital markets includes representing issuers in private debt offerings, structured note offerings and tender offers. In the areas of fund formation and investment management, Rana has worked on fund formations and advised institutional investors in connection with private equity and hedge fund investments. 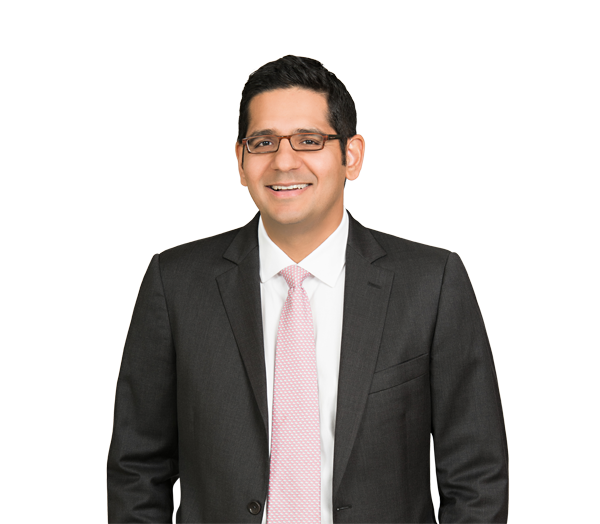 Rana has derivatives experience representing end-users and financial institutions, including in connection with Dodd-Frank compliance, and he has negotiated numerous ISDA master agreements, schedules, CSAs and related confirmations. Prior to joining Robinson Bradshaw, Rana was a vice president and assistant general counsel at Goldman Sachs in New York and, prior to that, a corporate associate at Cleary Gottlieb in New York. Represented Australian mining services company Boart Longyear in its Rule 144A and Regulation S sale of high-yield notes. Represented EnPro Industries in its Rule 144A/Regulation S high-yield note offering and related tender offer. Represented several startups in connection with obtaining growth financing from venture capital financing banks. Represented a private equity fund in connection with it providing acquisition financing to a specialty pharmaceutical company. Represented a private equity fund in connection with it providing financing to a designer and manufacturer of surgical intervention technologies. Represented a private college in connection with the refinancing of its outstanding debt. Represented a number of commercial end-users in connection with negotiating ISDA master agreements and related derivatives transactions. Represented a provider of investment research on Chinese companies in connection with providing such investment research to several hedge funds. Represented a new fund-of-funds in connection with its initial fund formation and offering. Represented several university endowments in connection with their investments in private equity and hedge funds.